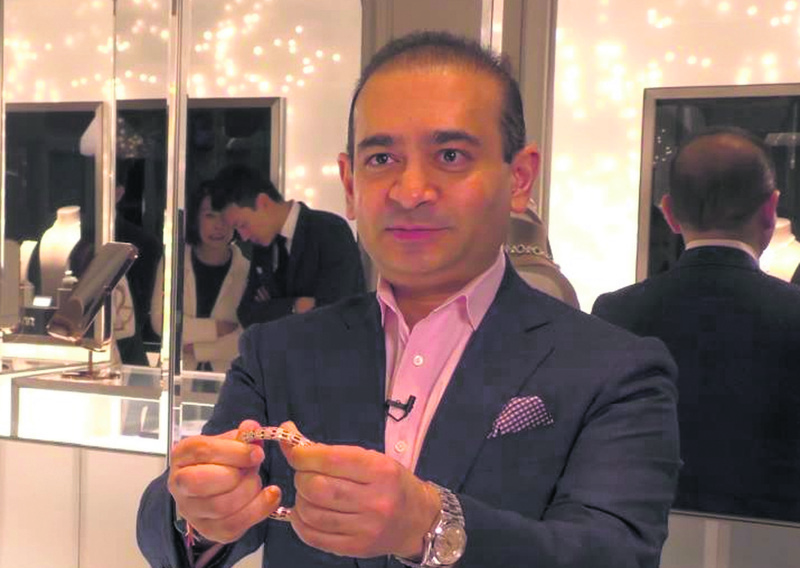 Jeweller Nirav Modi has been named as "wanted accused" in the first chargesheet filed by the CBI in the £1.34 billion Punjab National Bank (PNB) fraud that involved his diamond merchant uncle Mehul Choksi and top bank officials. The chargesheet was filed in a Mumbai court just before the end of the 90-day period to submit charges against the 19 arrested persons. The accused will not be able to apply for bail now. Usha Ananthasubramanian, Managing Director and CEO of the Allahabad Bank, who held the same position at Punjab National Bank earlier, PNB Executive Directors KV Brahmaji Rao and Sanjiv Sharan, and General Manager (international operations) Nehal Ahad have been named as accused by the CBI. A separate chargesheet against Mehul Choksi will be filed later. According to the CBI, senior PNB officials had not complied with circulars issues by the Reserve Bank of India on the SWIFT control system, a platform for encashing letters of undertaking (LoU). The CBI says they have shown how money raised through Letters of Undertaking issued fraudulently were routed through offshore firms which the agency believes are shell companies used to send the money back to India. Nirav Modi's wife Ami Modi, his brother Nishal Modi and other family members are likely to be named in the supplementary chargesheets later this week, CBI sources said. The jeweller duo left the country before the fraud was uncovered and have since denied all allegations against them. As they refused to return to the country, non-bailable warrants were issued against them. PNB, India's second-largest state-run bank, had revealed in February that it has been swindled off over £1.20 billion through the fraud guarantees for Nirav Modi and Mehul Choksi. While the CBI probed the fraud, said to be the biggest in Indian banking history, the PNB also conducted a parallel internal investigation and suspended at least 21 officials. Meanwhile, Nirav Modi, who left India in the first week of January and is believed to be in New York, has been trying to seek political asylum in the UK. He is reportedly still travelling on his Indian passport that was cancelled by the government in February. Mehul Choksi wrote to the CBI in March saying it was "impossible" for him to return to the country as his passport had been suspended.